Richard Sherman, the subject of trade talks, did not attend the opening of Seattle's offseason training program Tuesday with plans to apparently not show up until next month. Seahawks cornerback Richard Sherman, who the team has acknowledged it could consider trading, was not present for the beginning of Seattle’s voluntary offseason program Tuesday, a league source confirmed to the Seattle Times, with Sherman apparently planning to sit out for a few weeks. Albert Breer of Sports Illustrated’s Monday Morning Quarterback initially reported Sherman would be absent Tuesday with plans not to show up until mid-May for the start of Organized Training Activities, the final of the three phases of the offseason program. Since the training program is voluntary, any players who miss it will not be subject to fines. ESPN’s Ed Werder also reported that safeties Earl Thomas and Kam Chancellor and defensive lineman Michael Bennett were not present for the first day of the program (and it may be worth noting that Werder is the reporter Sherman mentioned last December he would talk to when he said he would no longer speak to most local media). Bennett has stayed away from the program each of the last two years, as well, preferring to train on his own in Hawaii, while also the past two years making it clear he wanted the team to renegotiate his contract — he signed a new deal last December. It’s unclear why Thomas and Chancellor would be absent. Players often are excused if they have other commitments. Thomas and Chancellor are also each coming off of recent surgeries, though the first two weeks of program are devoted to strength and conditioning and physical rehabilitation. It’s clear, though, that Sherman — who has typically attended all of the voluntary workouts in past seasons — is making a statement by staying away about his precarious future with the team. Seahawks general manager John Schneider and coach Pete Carroll have each said in interviews since late March that the team could consider trading Sherman for the right price. Other reports have stated that Sherman is not only in the conversations about a trade but has told the team to explore options. A trade is still thought highly unlikely since the Seahawks aren’t anticipating a team will meet their demand, which is thought to be at least a first-round pick and another no later than the fourth. But if it were to happen, it would almost certainly occur by the time of the draft on April 27. 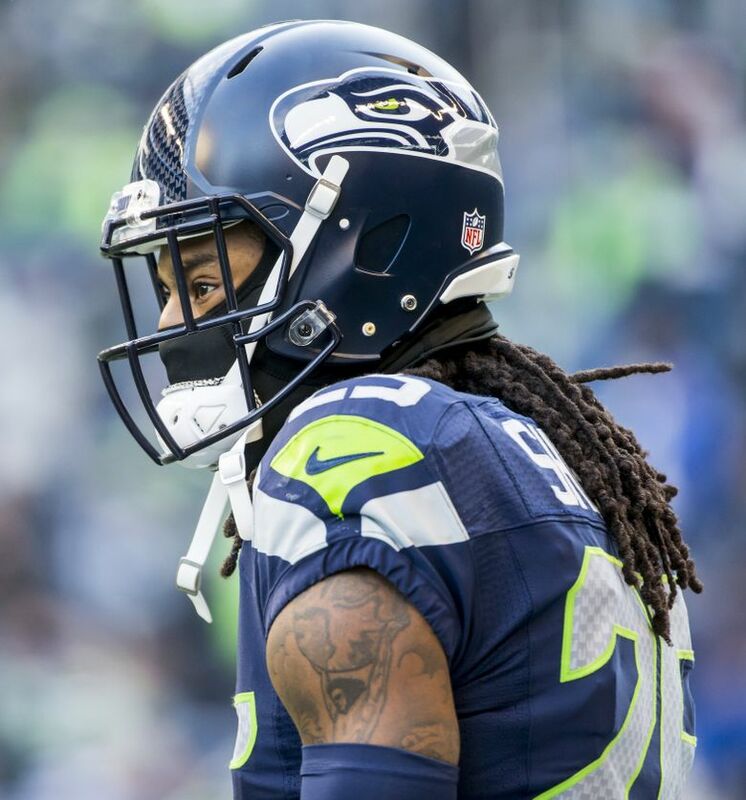 Despite the trade conjecture of the last few weeks, Sherman has been said to have been a regular presence at the VMAC of late and pretty much conducting offseason business as usual. Sherman apparently plans to return before the offseason program concludes with four weeks of Organized Team Activities (though Seattle will be docked a week of OTAs this year as a result of penalties for violating rules on off-season workouts a year ago). That means he would miss the first phase, which is two weeks of strength an conditioning and rehab, and phase two, which includes the first real “football’’ aspects of the program — three weeks of on-field workouts in which there is no live contact or team drills (meaning, no offense vs. defense — each side has to work out separately). The OTAs are then followed by a mandatory one-week mini-camp that includes three on-field workouts. The mini-camp is the only part of the offseason program for which a player can be fined for missing. Only some of the OTAs are open to the media, with the rest of the program closed. Since it is voluntary, the team does not plan to release lists of which players are present, and there isn’t expected to be any media availability until next week, when Carroll and Schneider are expected to hold their annual pre-draft press conferences.